It is nice when a character takes a chance to grow a little and Akko did that this episode. They’ve made the point throughout the show how Akko’s weakness is her lack of patience. She is the type of person who will jump before thinking about it and that can be an issue. Often she does find a way to bounce back. However, learning the value of taking your time to get something right isn’t a bad thing. This was an episode with surprising stakes, but they built up to them pretty nicely. I wouldn’t have expected when they flew off that they’d basically have to stop a magical plague. Talk about doing a bit too much extra work when just visiting your friend’s family. And it does drop a fair point why frankly you do need people using magic around. Now it is good she learned some patience when it was required. If a recipe for an antidote that can save people requires patience then wait! Waiting is a tough challenge to be sure for a total bundle of energy like Akko. And it was somewhat comical watching her try to just watch trees or wait for plants to drop leaves when they were in such a hurry. Although to be fair unless it is a windy day then they could be waiting a really long time for enough leaves or snow to fall. A harder thing though for Lotte who has her families lives on the line with this. 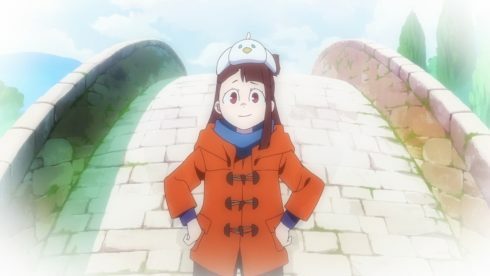 So if she can wait then it probably is best for Akko to learn some patience. It was kind of interesting to see Akko have to face her own insecurities some more. She was getting cold, tired, and starting to succumb to the illness herself. There was plenty of motivation to just stop giving a damn. 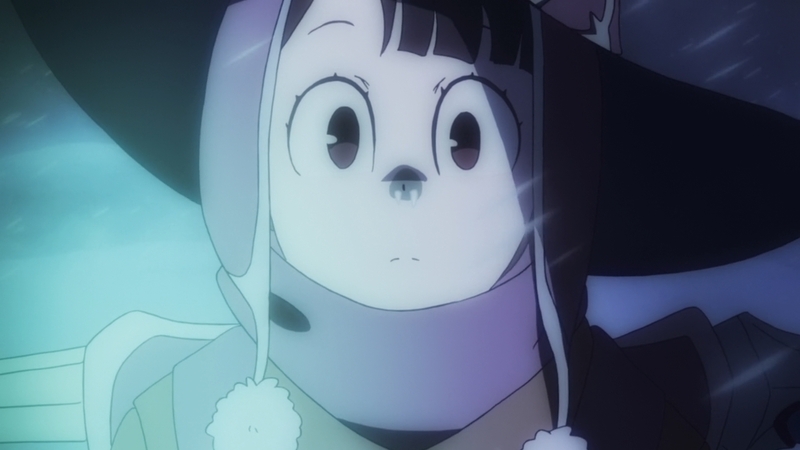 Akko still worries about her own abilities and how useful she really is. I’m glad though that with time having passed she has memories and images in her mind to give her confidence. She can do things and it does matter whether she keeps trying or simply gives up. Would someone like Sucy have been able to give the Yeti enough confidence to do a proper job on his work? Akko can understand what it feels like to be ripped into by people, but also can say that he shouldn’t focus on that stuff, believe in his own skills. 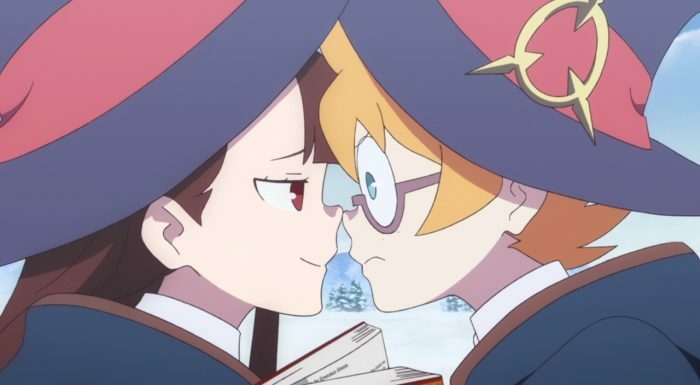 And in the end Akko made it work. She believed in herself, she kept enduring, and she was patient. It wasn’t remotely easy for her to keep it going, but she did what she had to. This is an experience that should be useful for Akko going ahead. It may be tough for her to really be patient all the time since that is just part of her personality. 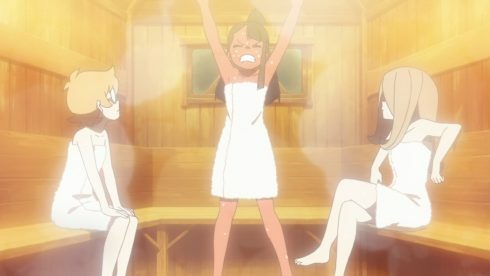 What Akko can gain though is an appreciation for how patience can get you rewarded. I’m not sure what exactly our villain is plotting, but you can be sure it will be troublesome. 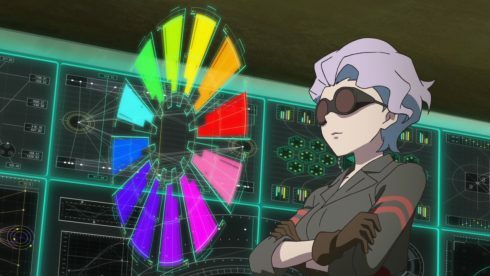 At this point I’m still curious as well why she clearly interfered with Chariot’s performance in the first episode. What was she trying to accomplish and what was the effect of that? Did Chariot run off to pick a fight with her? Regardless I can’t say that focusing on the emotion of anger is going to lead to good things. Whatever she thinks, it has been pretty clear that anger hasn’t been helping Akko awaken those phrases. Though I could see this woman trying to use her tech to make the Shiny Rod respond to her and that could be messy. At least this was a good and enjoyable episode. Maybe not the best in the show, but it had some moments. 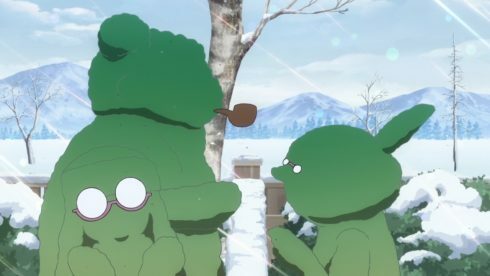 This was a chance for Akko to step up and help her friends out. 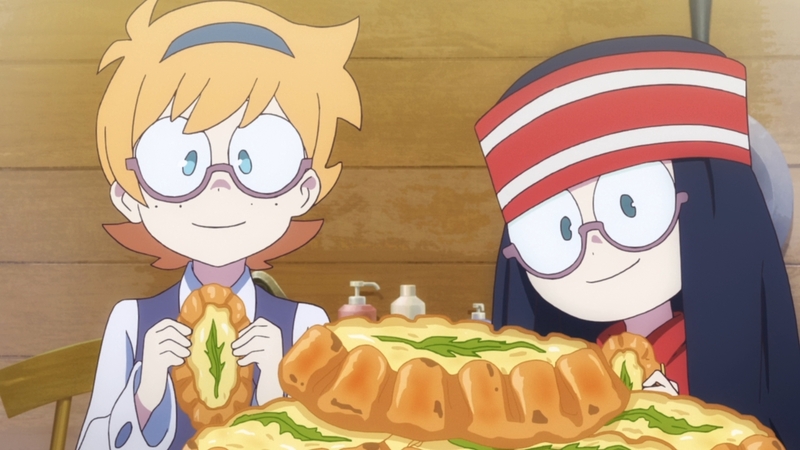 We got to meet Lotte’s family and they were as amusing as I might have expected. And we’re one phrase closer to Akko reviving all seven. Let’s see what happens going forward.